In January 2016 the Academy announced the official launch of the new Child & Youth Care: Foundations Course. The new course, based on the highly successful CYC: Basic Course, is a fully updated version that reduces the total in-class time by two days and incorporates newly developed on-line modules that allow the Ethics for CYC Professionals and Documentation training to be completed outside of class. Over 1400 CYC professionals have completed the CYC: Basic Course taught by over 60 approved trainers since the course was implemented in 2004. It has become one of the most widely used curricula for preparing residential, after-school, and community-based youth workers in the US. Extensive rewrites were done on the Relationship module updating it with additional ideas about the importance of relationships. This is followed by more in-depth skills training to help practitioners navigate the pitfalls of making genuine connections with young people. The new Brain-based Guidance Module was extensively revised to include additional ideas from Dr. Bruce Perry’s work on trauma-informed care and brain development. Students now get an in-depth experience of how brain activation levels impact relationships, learning, and growth. A wealth of new, engaging activities have been added to help practitioners expand their use of reflective practices to monitor their responses to youth and engage in on-going learning following class completion. Students now receive emails following course completion to help them with certification application completion and finding additional information on subjects taught in the course. The on-line portion of the course offered through the Academy’s new On-Line Learning Academy gives students access to more than 50 free courses that allow students to pursue self-directed learning in OSHA compliance, leadership, non-profit program management, Microsoft program operation, harassment, and many other topics. 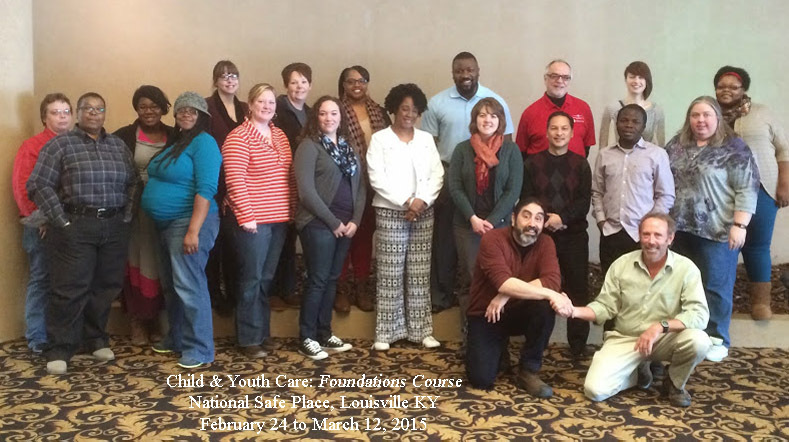 The new course was piloted during training of the National Safe Place Network staff in Louisville, Kentucky and with staff from the Small Seeds Community Development Program in Pittsburgh, Pennsylvania. Pilot results show that the new option for completing the ethics module before the live training starts and the documentation training as an option for people who need additional learning in assessment and documentation is working well. This new approach gets students primed for learning and allows them to better tailor learning to their needs. The documentation training is offered with an on-line test so that class participants can assess their current knowledge and complete additional training if needed.